Everyone who has a custom WordPress website for their business knows the importance of SEO and Google rankings. The higher your website ranks in the search engine results, the better the chances are of your website getting discovered. There are many different tips, tricks and ideas for helping you improve your SEO, but which ones actually work? SEO works differently for everyone, so sometimes it’s ideal to get assistance from managed WordPress hosting services to ensure you’re on the right track. WordPress is one of the most popular platforms for building and maintaining a website globally, so working with WordPress management services can help make your website more visible. The algorithm Google uses to determine SEO rankings is highly complex and constantly changing. The good news is you don’t have to know it all on your own, and by following these tips, you’ll be able to boost your SEO ranking as high as you want it to be. Google wants to see unique content on each page of your website. If you duplicate your content across multiple pages, your SEO ranking will take a hit. Alter each product or service description slightly and use a variety of keywords within those descriptions. As with any custom WordPress website, being unique across all pages is best for standing out, in both the eyes of a consumer and Google. Every quality website has a good mix of attractive images. But instead of just making the images attractive for visitors to your website, make them attractive for your SEO ranking as well. You can easily do this by adding in alt tags with certain keywords in them. This is as simple as naming your image with a relevant tag other than the default code given to it when you initially upload it. The best WordPress management services can help you identify the appropriate keywords to use in the alt tags to make every image boost your SEO ranking. When creating content for your website, either on individual pages or as part of your blog page, you need to have attractive titles. Consumers today are attracted by titles that include numbers, such as “4 Ways to Make Your Website More Attractive.” This title is perfectly acceptable for posting on your website, but the number shouldn’t be included in the permalink. In this example, an effective permalink could be “make-website-more-attractive.” All permalinks should be short and sweet like this one and use hyphens instead of underscores. An underscore indicates the next word is an extension of the previous word, which can create unnecessary confusion and hurt your SEO ranking. WordPress categories are mandatory to use on the platform. These categories are used differently than tags, but the concept is similar. WordPress categories help business owners organize their posts so it’s easier for visitors to find the information they came for. A category dictates the general product or service you offer on your website, while tags describe the product specifically. Consumers will appreciate your use of both categories and tags to help them quickly navigate through your site to find what they need. Your WordPress management services can help you find the perfect combination for these to enhance your SEO ranking. One thing managed WordPress hosting services see all the time is using too many keywords on any given page. Keywords have to be relevant and fit in with the website content naturally. If you are having a hard time coming up with the best keywords for your page, WordPress management services can help. There’s no specific keyword density that is more effective than others. However, the right balance of relevant keywords will look good in Google’s algorithm and give your SEO ranking a boost. In some ways, your SEO ranking can be compared to a popularity contest. In order to be popular, your website has to be attractive to both your consumers and your competitors. There are services available with every custom WordPress website to help you manage your links, including the ones you use and which pages of your own content are being linked on other websites. These online relationships via linking help Google determine how popular and useful your website is. Using WordPress management services will help you manage and use these links to your advantage. When you think about how important your SEO ranking is when it comes to the visibility and growth of your business website, it makes a lot of sense to work with managed WordPress hosting services. These services can include helping you with all of the above-mentioned tips and many more. Every business website is unique, and the best WordPress management services will tailor their packages to your individual needs, and adjust as your business needs change. And the best part about managed WordPress hosting services is they don’t just offer ways to boost your SEO ranking. The performance and security of your website is critical, and minimizing downtime will help save your company a significant amount of money. All of these services combine make your website operate efficiently, securely and increase visibility. Hosting Gun understands SEO rankings inside and out in order to provide the best managed WordPress hosting services for clients. As you can see, an SEO ranking goes far beyond simply incorporating the right mix of keywords. 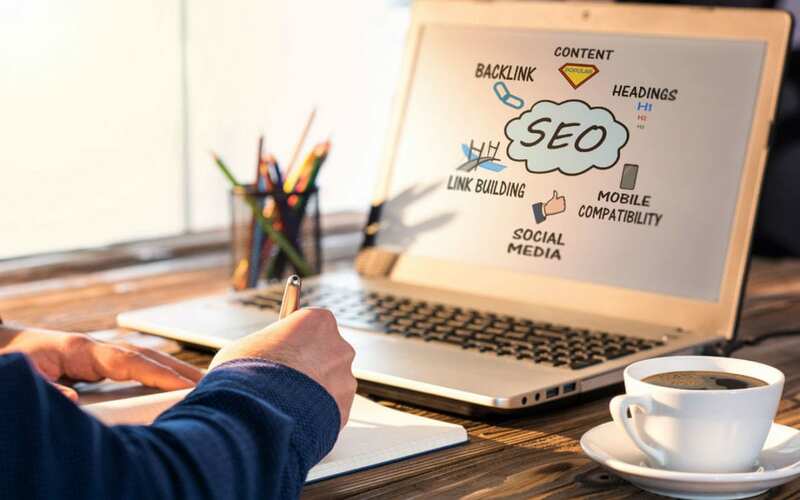 While this is one aspect of your ranking, it’s the combination of keywords, effective titles, links and overall quality content that will generate organic traffic to your website. Our goal is to take care of these aspects for you, so you can focus on growing your business in other ways. To learn more about our WordPress management services, feel free to contact us at any time.